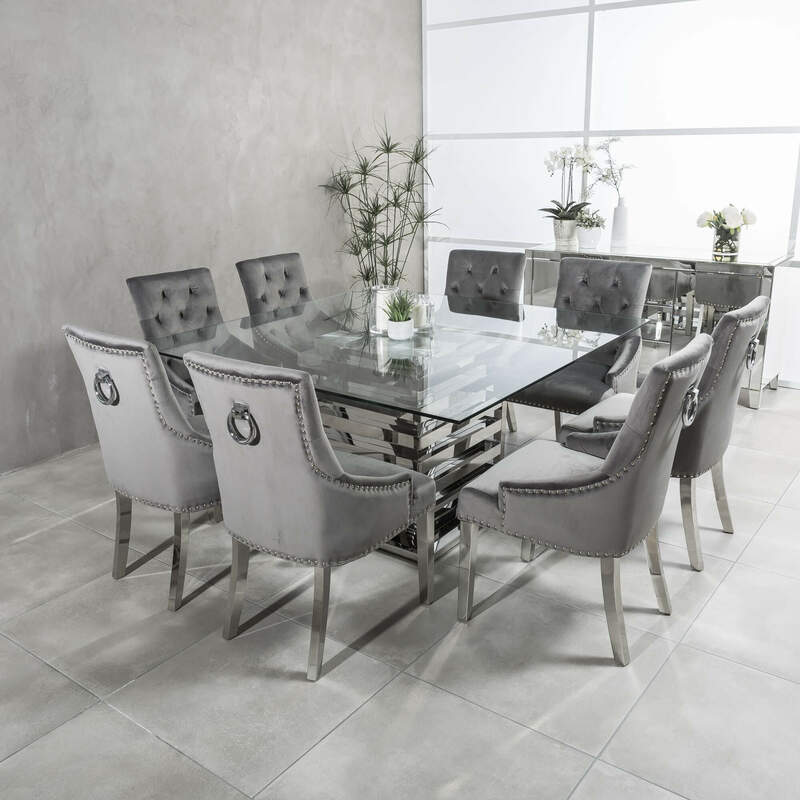 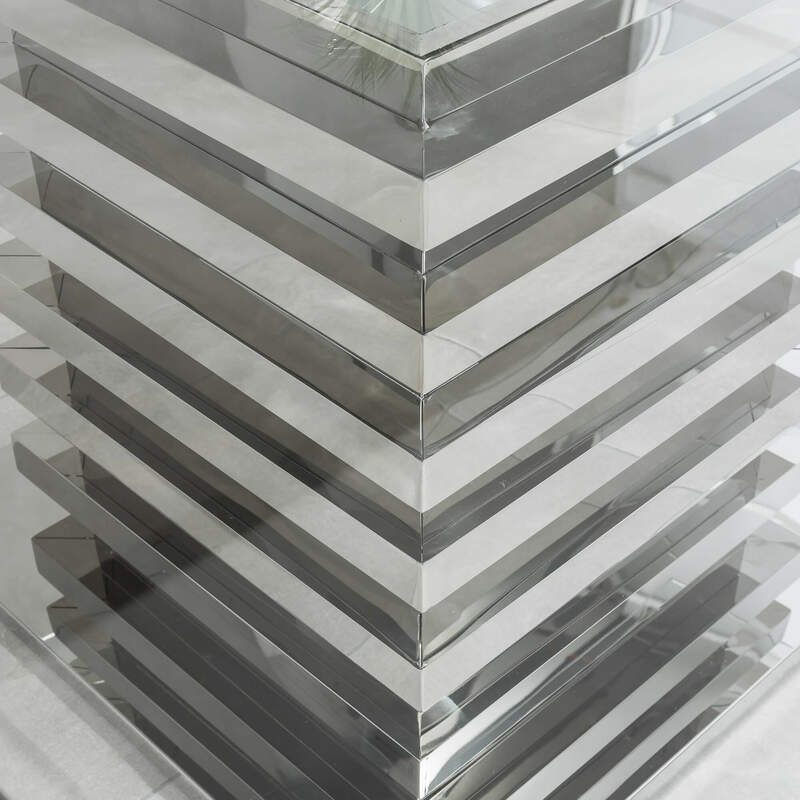 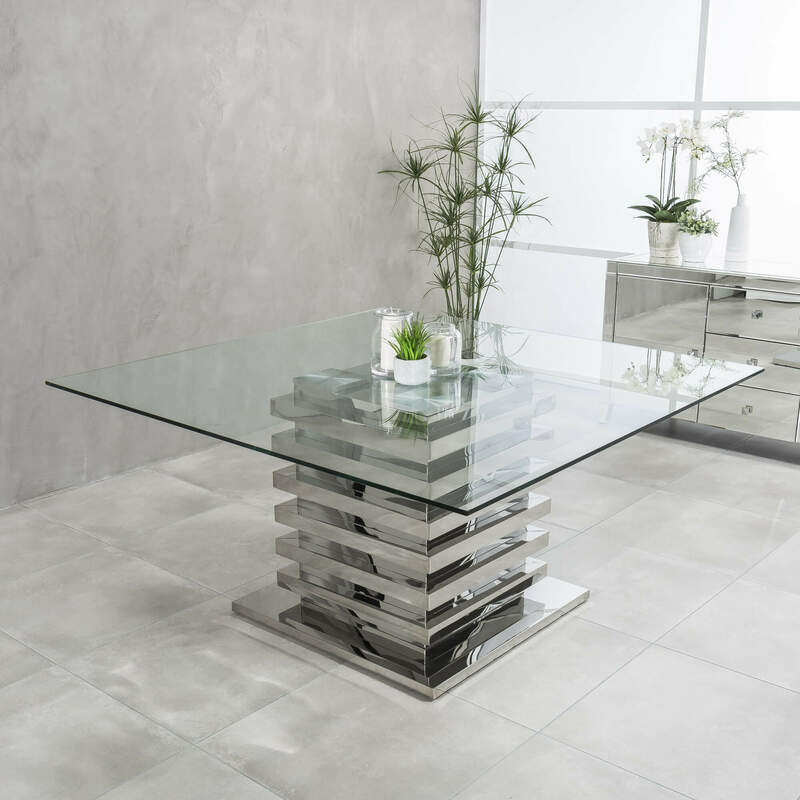 This large square polished stainless steel glass dining table has a clear glass tempered top. 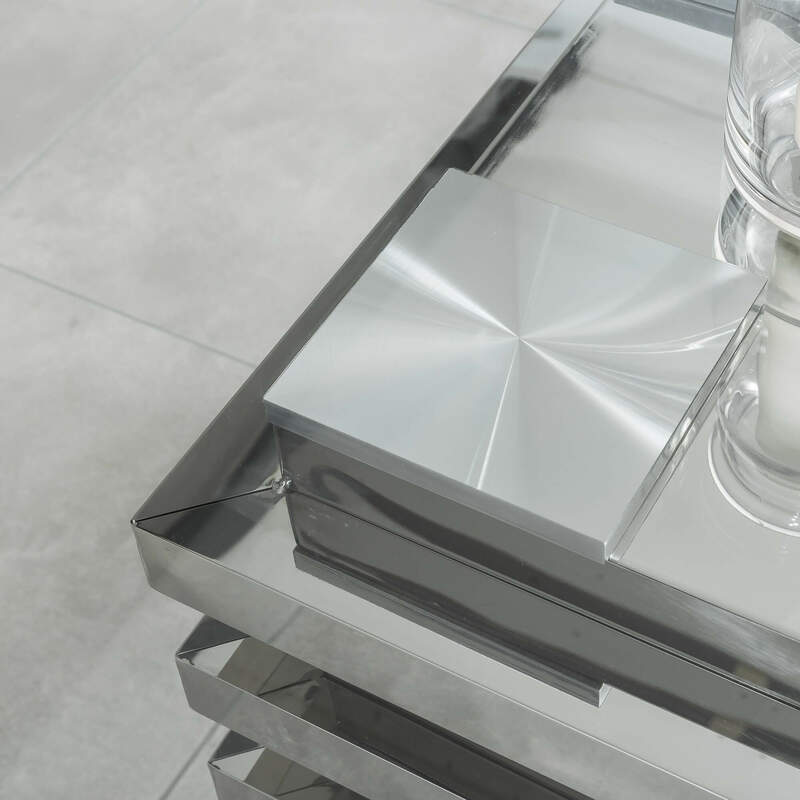 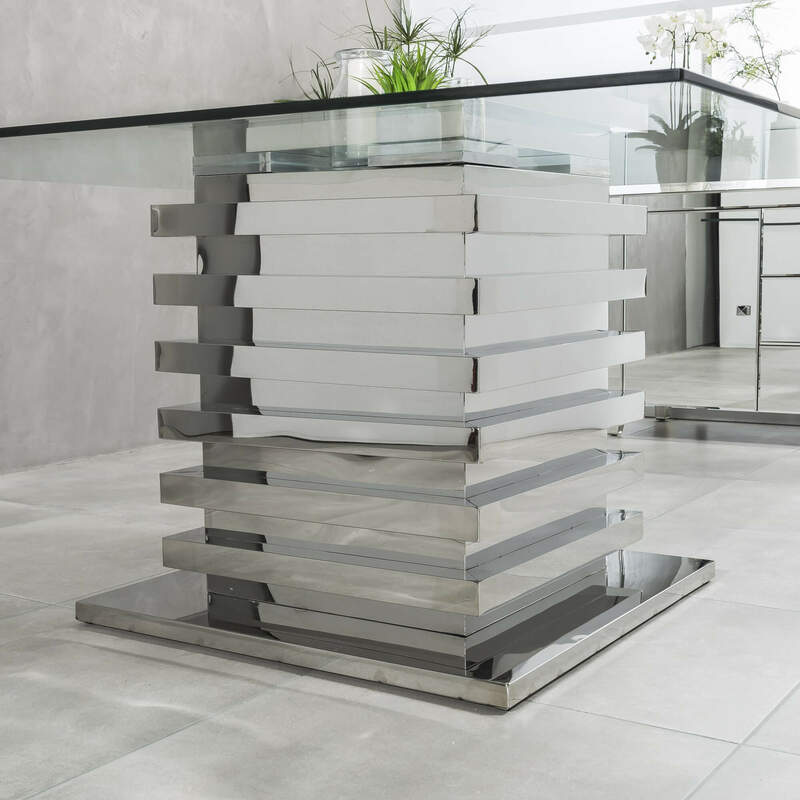 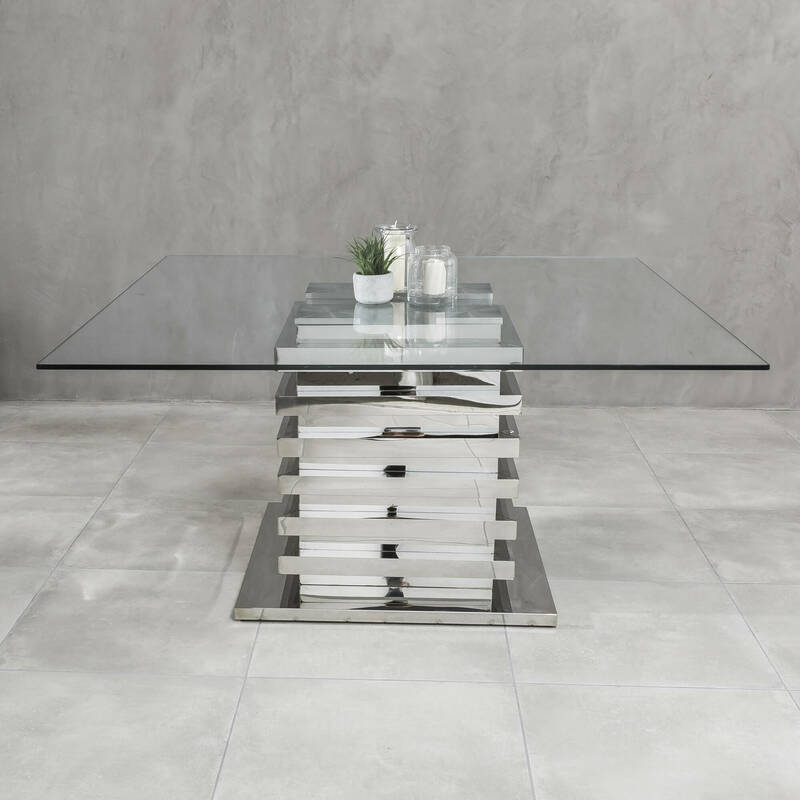 The polished steel base has a solid visual classic trestle appearance which contrasts beautifully against the clear glass which rests above, adding a sculptural architectural touch on this glass dining table. 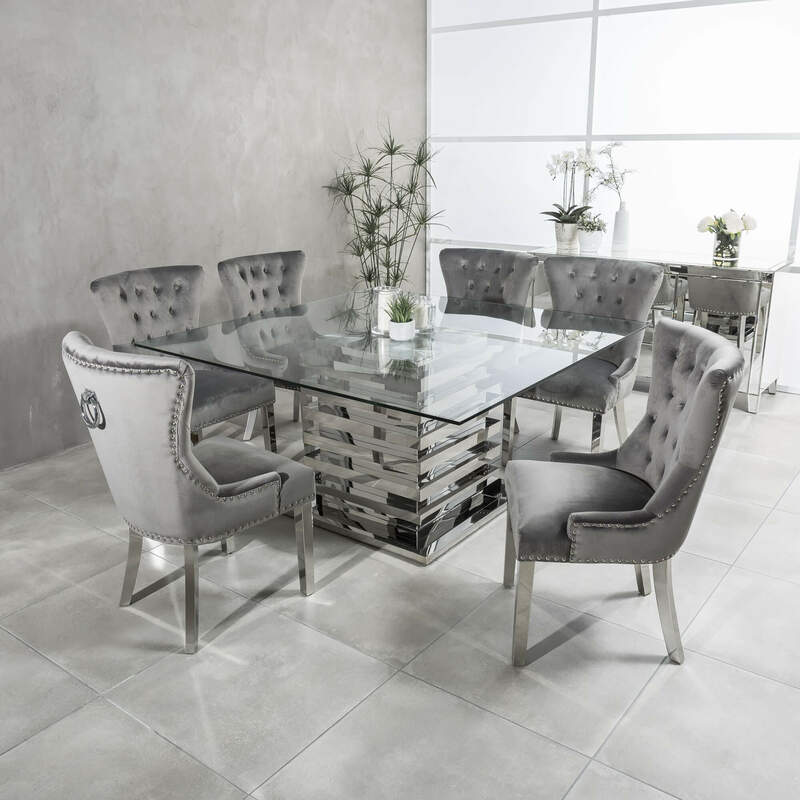 This table will seat up to eight people and is perfect for those with smaller dining rooms that are looking for a space saving option.